Opposition leader Bill Shorten has pitched refundable franking credits as a “gift” that could fund fundamental health care, as concerns are raised over the independence of a parliamentary inquiry’s report. In response to criticism of Labor’s plans to end cash refunds for excess dividend imputation credits, Mr Shorten reiterated comments from his budget reply that allowing it was a “gift”. “If you are getting a tax credit when you haven’t paid any income tax, this is a gift,” he said. “It is not immoral, nor is it illegal. But it is a gift. It is a gift lifted from the taxes paid by working-class and middle-class people in Australia today. It is now costing our nation over $6 billion a year, and pretty soon it will cost $8 billion. “If all this talk of billions is too much, perhaps think of it in the following way... Two minutes out of 365 days could pay for someone’s knee replacement surgery. 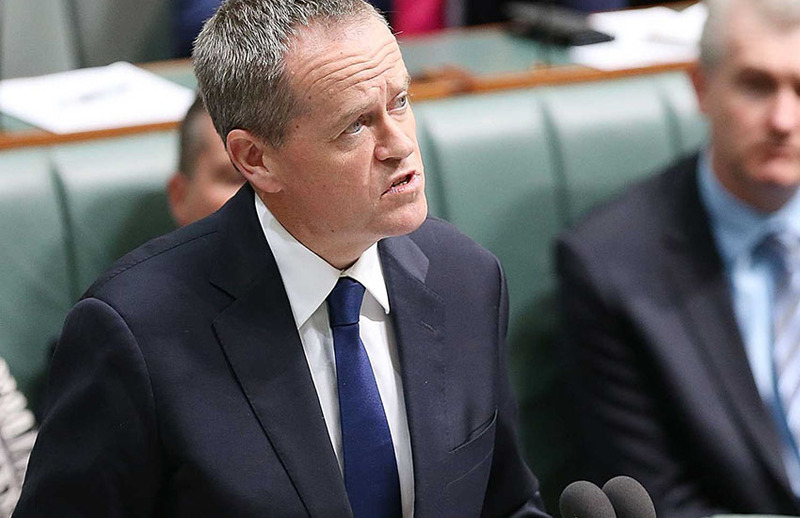 In addition to its previously announced plan to fund a $2.3 billion Medicare cancer plan, Mr Shorten said that Labor would put $250 million to slash elective surgery waiting time in public hospitals. “While Scott Morrison and the Liberals spend billions of dollars on tax loopholes for the top end of town, they are cutting billions of dollars from public hospitals and leaving all Australians worse off,” Mr Shorten said. The House of Representatives Standing Committee on Economics had last week released its report on the franking credits debate, recommending against the proposal and that any such move should only be considered as part of an equitable package for wholesale tax reform. In a communication to Tax Institute members, senior tax counsel Professor Robert Deutsch said that, despite being against the proposal, the manner in which the inquiry was conducted was out of step of an independent process. “I say this is the strangest of reports because it is so fundamentally politically motivated, and to use a parliamentary committee to report on a measure which has been suggested by your political opponents is, in my view, as outrageous as it is a misuse of public money,” Professor Deutsch said. “Using a parliamentary process to fundamentally challenge your political opponents’ view is utterly inappropriate. I would add that it is particularly even more galling that the language used in the reference to the committee is so heavily biased against the Labor Party’s proposal.